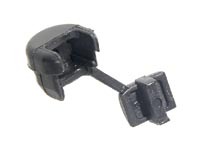 Black Heyco strain relief bushing, one-piece nylon unit works for SPT-1 & SPT-2 parallel lamp cord. Requires 1/2" hole. No reviews yet for the Heyco Strain Relief Bushing.